The girls and I are quite possibly the world's biggest sushi lovers. Maki rolls, sashimi, nigiri; we.love.it.all. If we're eating out and I let the girls pick the cuisine, they will ALWAYS choose Japanese (and more specifically YO! Sushi). And whenever I tell people that they love sushi they are always shocked. "Your kids eat raw fish?" is the most common question I get asked, accompanied by looks of sheer horror. Yes they do eat raw fish, but that's not the extent of sushi, or Japanese food as a whole. Far from it! There's also meat, vegetable, rice and noodle dishes; some are hot, some are cold. Some are sweet, some are sour, some are spicy. 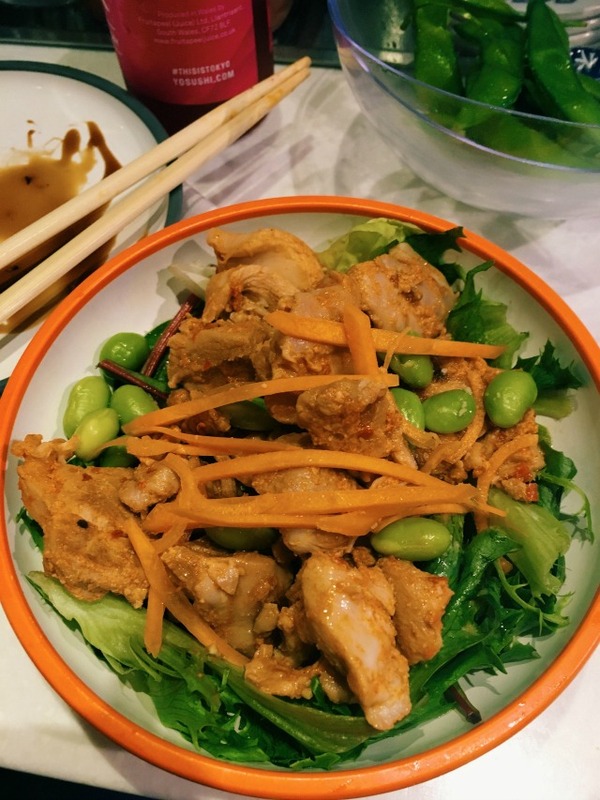 It's varied and colourful and, most importantly, super healthy - which is why YO! Sushi is also one of my favourite places to eat. Famous for its bright crockery and conveyor belt food delivery system, YO! 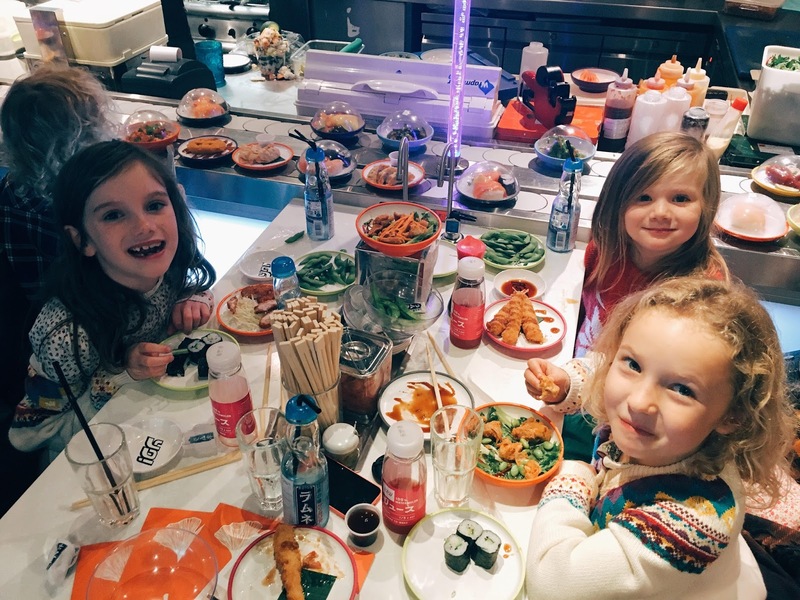 Sushi is absolutely brilliant for kids. 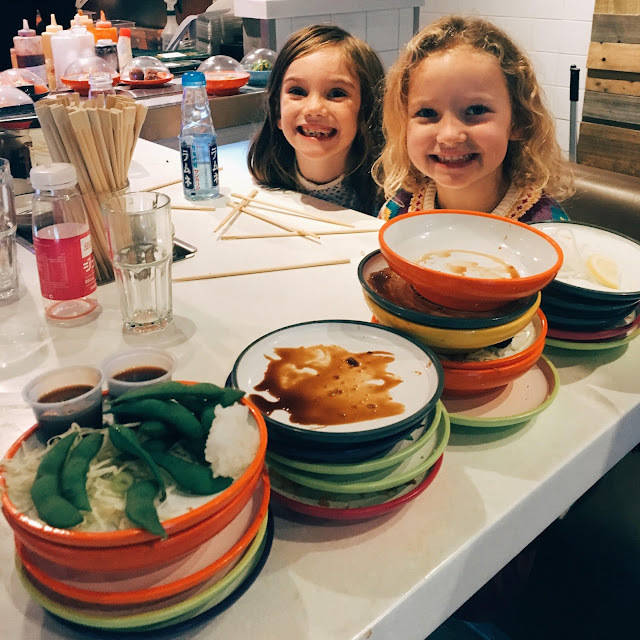 The whole concept of choosing your food from a conveyor belt and eating at a bar is heaven for children and I find that it encourages them to be more adventurous with their food too. There are dozens of dishes to try and the menu is constantly evolving so whenever we visit we always make sure we try something new. The decor is urban, and industrial, and cool; I love the open plan kitchen where you can watch the maki being rolled, and the relaxed and fun vibe. I honestly think it's the perfect place to go for a family meal. 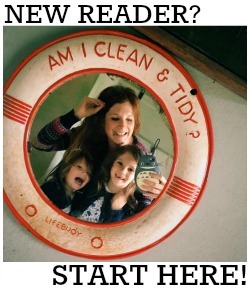 This week we took Ruth from RocknRollerBaby and her kids to our local YO! in Guildford to try sushi for the first time ever. The girls were so excited to introduce their friends to some of their favourite dishes. 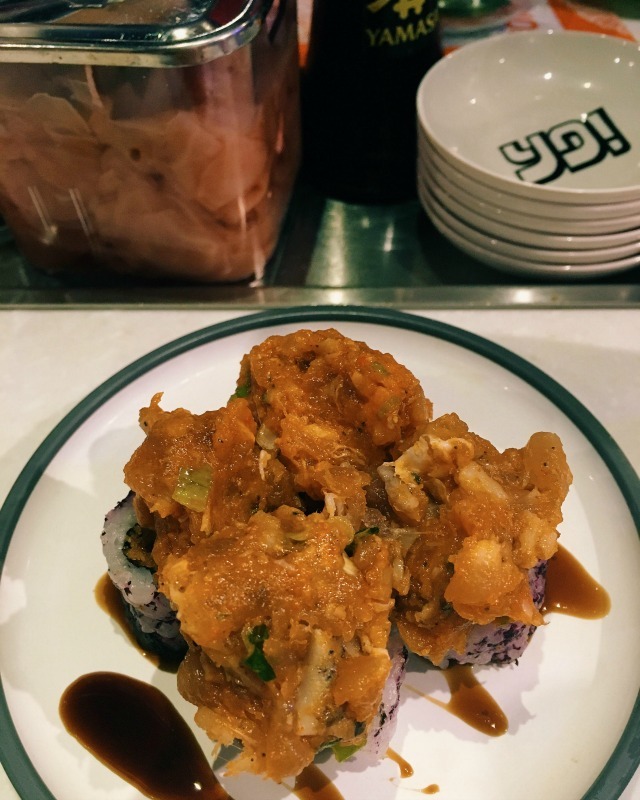 As sushi novices, we thought we'd ease them in gently with some cucumber and avocado maki rolls but we ended up sharing twenty one plates between us, including spicy tuna blossom rolls, crispy salmon skin, chilli beef, salt + pepper squid, California rolls and everyone's favourite, chicken katsu. We enjoyed a leisurely lunch over the course of almost two hours (it flew by) and left stuffed and happy.... and the best bit? The chicken katsu was FREE! 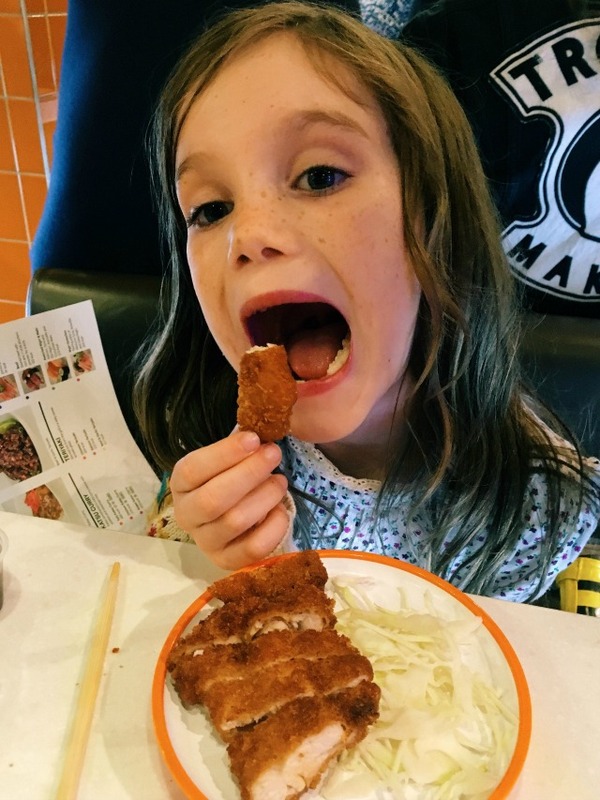 This offer is for one free Chicken Katsu Curry or Tofu Katsu Curry per family with a paying adult. Participating YO! Sushi restaurants only. Minimum spend of £10 applies. Offer is limited to one free plate per family. Offer is valid from 27th October - 4th November 2016, and is only available Tuesday - Friday. Offer is only valid at the following YO! Sushi restaurants: Aberdeen Bon Accord, Aberdeen Union Square, Bath, Baker Street, Belfast, Birmingham Grand Central, Birmingham Selfridges, Bluewater, Bond Street, Bournemouth, Brent Cross, Brighton, Bristol Cabot Circus, Bristol Cribbs Causeway, Cambridge, Cardiff St. Davids, Chelmsford, Cheltenham, Cheshire Oaks, Chester, Croydon House Of Fraser, Derby, Eden High Wycombe, Edinburgh Princes Street, Exeter, Fulham Broadway, Glasgow Braehead, Guildford, Harrogate, High Street Kensington, Kingston, Leamington Spa, Leeds Trinity, Leicester, Liverpool ONE, Manchester Arndale, Manchester Selfridges Trafford, Milton Keynes, Newcastle Grainger Street, Norwich, Nottingham, Oxford, Reading House Of Fraser, Richmond, Russell Square, St Paul's, Victoria Station, Waterloo Station, Westfield Stratford, Windsor, Whiteley Shopping and York. There is no cash alternative. The YO! Sushi manager's decision is final.